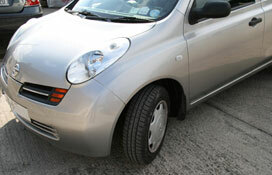 HANNON CRASH REPAIRS was founded by Noel Hannon in 1994 who has over thirty-five years experience in the industry. We have been undertaking crash repairs and automotive bodywork in our purpose built premises, using all the latest technology and innovations to cater for all your needs and requirements. We have the facilities to carry out crash repairs and paintwork on every make and model of vehicles and also cater for light commercials vehicles, MPV’s and SUV’s. All vehicles are looked after as if they were our own and returned to you faultless, immaculate and in showroom condition as all our customers will agree. We are ideally located in Bray, North Co. Wicklow just a short distance from the M50 / M11. Accidents are bound to happen, but here at Hannon Crash Repairs we recognise that the sooner your vehicle is back with you and in shape the better for you, and of course with minimum disruption.